Updated 03-04-19. Here's Lovingpho's own beef pho recipe in infographic form. This beef pho recipe yields about 20 quarts, which is about 20 regular size bowls you can typically get at most pho restaurants. With this size, you can make it once, enjoy it, and have plenty of leftover to freeze for quick pho anytime later. It's quite easy to scale up or down depending on your desired size. Just do straight linear scaling and you can't go wrong. Of course, you can adjust any element to customize to your own taste. Let me know what you think, and leave a comment below. Hope this new beef pho recipe infographic helps you make great pho at home. It’s easily scalable to larger or smaller batches. For me, if I’m making pho at home, a larger batch allows me to freeze the pho broth for use at any time later. Great web site. I can’t seem to find Pho recipe infographic by lovingpho. Is the image broken ? @Madison: Thanks for visiting. The infographic image appears fine on the page above for me and other browsers I’ve tested. Maybe you want to refresh your browser? Thank you! Great infographic! I usually eat out for pho but it would be nice to perfect my home recipe for family gatherings. @You Chang: Glad it helps you. Give it a try. It’s not as hard as a recipe may sound. 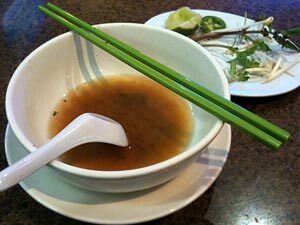 If you have proficiency in the kitchen, have a good recipe with good description and explanation, and can follow the directions well, then you should be able to make a great pot of pho broth. I have never put fish sauce in my pho! It would kill the real smell and taste of whatever pho you’re making ie beef, chicken or veg. You don’t use pork bones, but beef bones in the pho pot so why would you put fish sauce? @Dee Dee: Thanks for your comment. 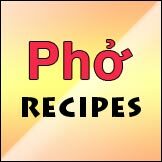 Regardless of which pho recipe you follow, many non-Viet people misunderstand what role fish sauce actually plays in Vietnamese cooking. Don’t let the name fool you. In Viet cooking, fish sauce is a versatile cooking ingredient. For the vast majority of dishes, it’s used as regular seasoning during the cooking process as well as a dipping sauce (both mixed and unmixed) at the table. It’s also used in many marinade recipes for all kinds of proteins, especially those to be grilled on open fire. 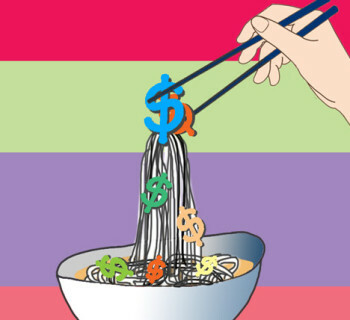 In the early days of Vietnamese food being introducing to North America, Australia and Europe (mid 1970’s to even late 1980’s), Westerners wondered about unique taste and bold flavors in Viet foods that they never experienced in Japanese and Chinese foods, which are more soy sauce based. It was fish sauce in many Viet dishes, and it was not just in pho. 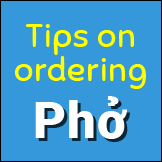 Try it the next time you make your pho or any other Viet dishes, and you may have a pleasant surprise. And like any ingredient, know how much to use and don’t overdo it. When done correctly, it should not “kill” or overwhelm any other taste in a dish, and no one should be able to detect any fishy taste at all. Great finding this site and recipe. I host a pho party every year during winter for around 50-60 friends. I try different recipes each year trying to improve, but last years was by far the most “bland”. This year I’ll try this one, and also add in oxtail which I haven’t yet done. @Dean: Hey glad to hear you’re making pho for 60 people Dean. I’m not sure what recipes you’ve used in the past, but they’re probably recipes for home cooking (e.g., serves 6 or 8 people, etc.). This means you have to correctly scale up to the large quantity to serve more people. Some ingredients CAN be scaled up linearly, while others may not be. Plus, you have to not only correctly scale ingredients and adjust the heating profile, you also have to scale the timing as well. If you don’t scale properly for the yield you’re targeting (60 people/servings), AND make adjustments as needed to taste, then there’s no guarantee your result will be good. My 2 cents. As a note: I created this infographic recipe (yielding 10 quarts) from my own base recipe for 4 people. Even with experience as a pho restaurant consultant, I still have to make multiple tests to adjust the scaled recipe before considering it acceptable to serve in mass quantity. If an inexperienced restaurant owner takes this recipe for use in his new restaurant, then he has to scale it up even more, and do it correctly. Thanks for the insight, Cuong. You’re suspicion about my past recipes are right on the money…they were for 6-8 servings, which made scaling difficult for the ‘bulky’ parts like the beef bones, so I think that’s what made it less flavorful. I also cut back on the fish sauce that last try because the scaling made it seem like I would need to put too much in. This year I have (3) 20qt pots, so what do you think about scaling the infographic recipe by 1.5x for each pot (15qt each pot = 30 servings per pot, x 3 pots = approx 90 servings)? Do you think 20qt pots are big enough to render 15qt of broth per pot with 15lbs of beef bones/protein? I’m going to try to get some oxtail this year also (I haven’t used it in the past). I’ll have to try to make sure the ingredients are equal per pot so as not to have very different flavor profiles among the pots, or intermix the pots at the last stage of the broth cooking (when removing all the solids). Also, what is your suggestion/experience on adding the MSG? Does it noticeably enhance the flavors? Hey Dean: If you intentionally reduced the amount of fish sauce (at whatever scaling) and the result is “less flavorful” broth, then the answer is possibly right there in your own words. This may have been “operator’s” error and not necessarily a problem of the recipe or the scaling. If this was the case, then it would have been an easy fix by adding more fish sauce to taste at the last step of cooking, or even at the table. Ever see a bottle of fish sauce or hoisin sauce in pho restaurant? In any case, most good recipes include “season to taste” or something similar as the final step. Except for the experts or professionals, a good cook or chef always tastes and seasons before serving anything. Now if you’re just looking to have fun by trying out different recipes every time you make pho, then that’s fine; nothing wrong with that. But you won’t have the benefit of learning from your past mistakes. You will make the same and new mistakes with each new recipes. If you want to make good pho, or make any dish consistently good for that matter, then a better approach is to start with a good recipe, then practice and perfect your techniques and understanding over time to improve your results. There is no “better” recipe if you first don’t master your cooking techniques that a recipe demands, or fix previous mistakes. I don’t have a suggestion on how you should divide up the ingredients for your pots unless I know a little more about your capabilities and cooking skills, whether you follow the correct timing and techniques of the recipe, etc. Many people give blind suggestions without really understanding whether the person can actually carry them out correctly. What I can say, though, is you should pay attention and understand the yield called for in a pho recipe. It is not necessarily what you must have at the beginning or even during cooking. It is what you should aim for at the end. Understanding this will help guide how you should cook regardless of your tools and constraints. 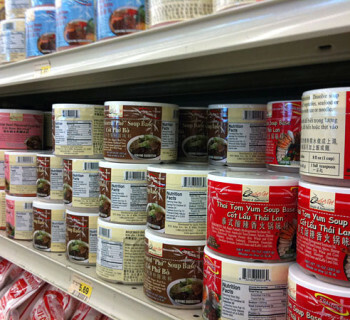 Lastly, MSG is used in many Viet dishes (including pho) and is used throughout the world to enhance flavors of many dishes. It’s more of a personal preference than a recommendation, so you should try it (in proper amount), and see if you like it, then adjust. I couldn’t find it in the infographic, but approximately how much eye round or sirloin is recommended for 20 servings? My calculations from previous recipes scaled calculates to about 3lbs for 20 servings? @Dean: If you’re referring to the rare beef as topping over banh pho before pouring in the broth, then it’s really up to you. Depending on what other proteins you plan to include in the bowl and the size of the bowl itself, some people like 4 oz of sliced rare beef, while others want 8 oz., or more or less. It depends on how much meat you and your friends like to eat. Restaurants have portion sizes because they have to make profits, but not in your case. You should slice them thin like you’re serving, then weigh (or just eyeball) the amount you think you want, and that’s your answer.